Hi! It's nice to meet you! My name is Sylvia Damaris. I have too much hair, I love the sunshine, and I'm so excited that you're here! I am a Midwest girl, a wife, a full time engineer, part time photographer, dog momma, travel lover, adventure junkie, and fitness enthusiast. In September 2017, I married the love of my life -- my engineering, Miata-racing, gear-head, adventure buddy husband, Javan. Our home base is Sheboygan, Wisconsin, where we have the most adorable little house, but we love to travel and explore everything the world has to offer. 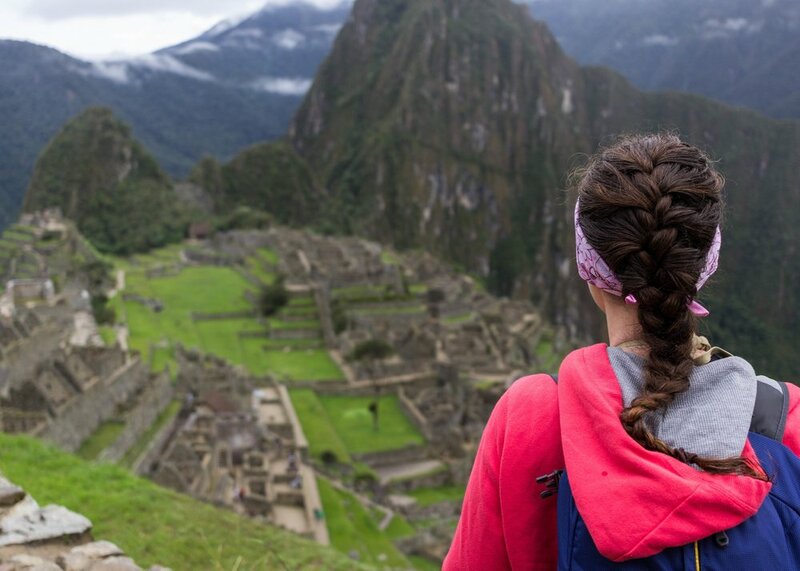 Our favorite trips so far have been hiking in Peru and adventuring in Hawaii! I am an extrovert and an optimist who has always loved two things: people and photography. When I was 10, my parents gave me a cheap little film camera for Christmas, and the rest is history! In 2012, after years of wishing I could afford one, I bought my first DSLR. Despite having years of point-and-shoot auto mode experience, I had no idea how to use that thing. It was then that I fell in love with portrait photography. I had to practice, practice, practice! And as beautiful as buildings and sunsets are, I found that photos could never do them justice. I believe that landscapes are best enjoyed in person. But photos of people -- photos of people can grant immortality to who they were in that season of their life. Photos of people can freeze raw emotion. They can do justice to relationships. They can showcase what is special and unique. They can be beautifully joyful or beautifully sad. They can be romantic. They can be quirky. They can be real. Once I could put words to that idea, I could never put my camera down. Have you ever said to a friend, "I wish you could see yourself through my eyes." Well, that's what I get to do every day. I get to show people their beauty, their worth, their authentic selves by capturing their faces, their personalities, and their relationships. Ever since I was little, I have loved the outdoors. My grandparents had a beautiful 7 acre property, and we had free reign over every inch. We hiked, camped, built bridges over the creek, fell into the creek crossing our rickety bridges... but I loved it! Now, my favorite places now are hiking in the mountains and SCUBA diving under the sea. We love to plan insane adventures to places like Peru and Indonesia. We haven't made all of our dreams a reality, but you will certainly hear about it when we do! I'm a total addict when it comes to coffee of all shapes and sizes, but cold brew is by far the best. And I'm not talking about that garbage that Starbucks claims is cold brew, when really they made hot coffee and put it in the fridge -- YUCK. I'm talking about coffee-grounds-in-a-jar-overnight, beautiful, magical, never-seen-a-drop-of-hot-water, life-giving, not-even-a-little-bit-bitter cold brew. Seriously, if you haven't tried real cold brew coffee, do yourself a favor and take 5 minutes to make it. Click here for a recipe! While my nerdom stretches far and wide (I also consider myself a Whovian and a Potterhead), Star Trek is the best of the bunch. I have seen all of Star Trek ever made -- every episode of every series and every movie, old and new. Like the true Trekkie I am, I even struggled through Enterprise, which I would not recommend to anyone. The best captain is Picard (obviously), followed closely by Janeway. "Kirk" rhymes with "jerk" for a reason. The best series is The Next Generation, but you can't beat The Original Series for Grade A bad movie material. I have also met LeVar Burton (a.k.a. Geordi LaForge). Before we were married, Javan and I hiked the Salkantay Trail and visited Machu Picchu with my awesome, adventurous best friends/parents. I can’t say enough about how amazing this trip was! Click for more! For our honeymoon, Javan and I stayed on a teeny tiny island resort — St. George’s Caye — with about 30 other vacationers and staff. This is where we got our open water SCUBA certification, lived the tropical life, and made some new friends. Click to read more! In February of 2019, we headed across the Pacific to visit O’ahu and Maui. It was my favorite vacation so far! Click for more! We made a trip down to the keys with the sole purpose of getting as much SCUBA diving in as we could! In just a few days, we made 11 dives at a handful of sites, including finding our true diving love: wreck diving. Click for more! I went to college at Michigan Tech in the UP. It is a land under the northern lights, where the Milky Way is visible all the way across the sky. Untouched groves grow tall and you stumble across waterfalls on every trail. I loved my years in copper country! This picture was taken at Devil’s Lake State Park. 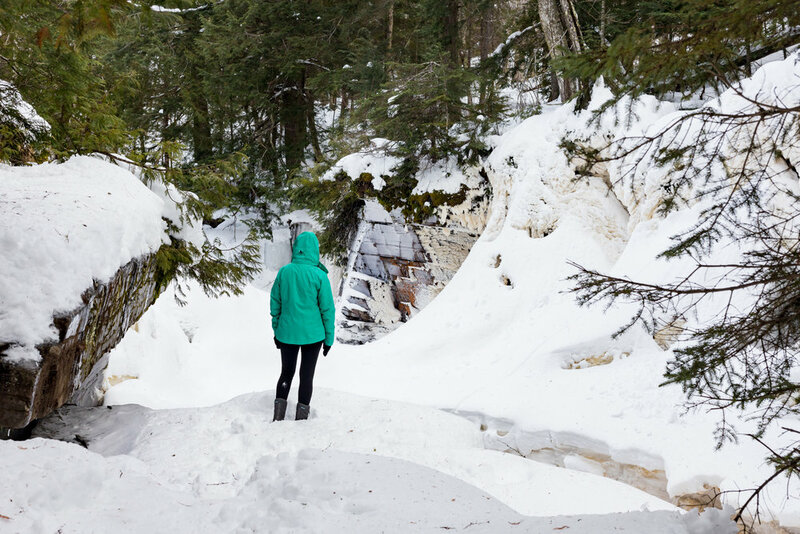 There is a TON of beauty and nature to explore in our home state! Our home town has some really beautiful spots to explore! We can hike, kayak, SCUBA dive, and more right in our own backyard. Welcome to my humble abode! My husband and I share a 1100 sq. ft. house, but this little space is mine for making the magic happen. It doesn't have a door, the ceiling height is only seven feet, and the maple floors are original to the 1939 building -- and not probably refinished since. My favorite features are the antique filing cabinet and the antique desk -- both found at thrift stores for a STEAL!